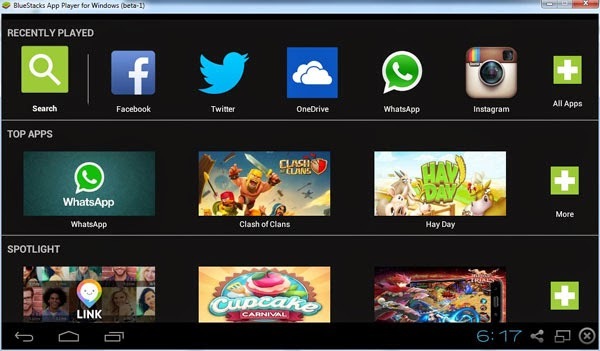 BlueStacks App Player lets you run your favorite Android mobile apps and games fast and fullscreen on PC. Tens of millions of people around the world use top apps like Candy Crush Saga, Telegram, Temple Run 2 and more on their laptops with BlueStacks. It took BlueStack's engineers two years to build the complex "LayerCake" technology that enable this to happen. Windows Vista - Your PC must have Service Pack 2 (SP2), or higher, installed. (You can install it through Windows Update).